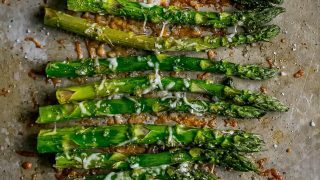 The Best Oven Roasted Garlic Parmesan Asparagus Recipe – delicious garlic and parmesan packed asparagus that is super simple and a perfect side dish that is bursting with flavor, low carb and perfect for keto diets, and always a crowd favorite! Asparagus is one of my favorite side dishes – the nutty, buttery flavor is a perfect compliment to so many meals – and asparagus is incredibly easy to make. 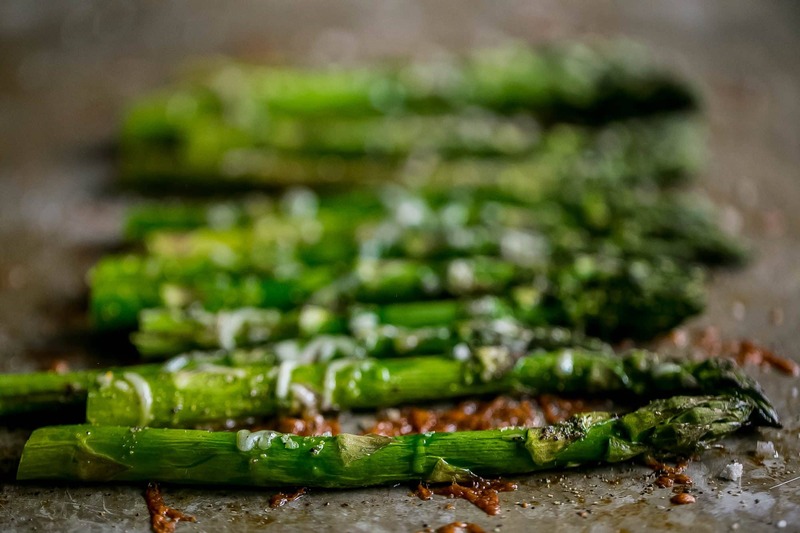 While I love making my quick and delicious Pan Fried Asparagus recipe often, sometimes it’s just easier to toss asparagus with some oil, salt, garlic, and parmesan and chuck it in the oven – and out comes The Best Oven Roasted Garlic Parmesan Asparagus Recipe, ever! This asparagus is bursting with flavor – and perfect for groups. It’s really easy to make a big batch, and tastes great alongside almost any main dish for a perfect delicious and naturally low carb or keto asparagus recipe ! While this easy baked garlic parmesan asparagus recipe is pretty simple – there are a couple of tips to make sure you have perfect asparagus, every time! Asparagus is a bit of a tricky vegetable to time correctly – I prefer it to not be totally soggy and limp (with a little bit of bite to it still), but also a little caramelized from baking. To get this perfect texture, you need to monitor your asparagus as it cooks. If it’s taking too long to soften and the parmesan isn’t crisping after about 10 minutes, turn the heat up about 10 degrees. Give it a head start. 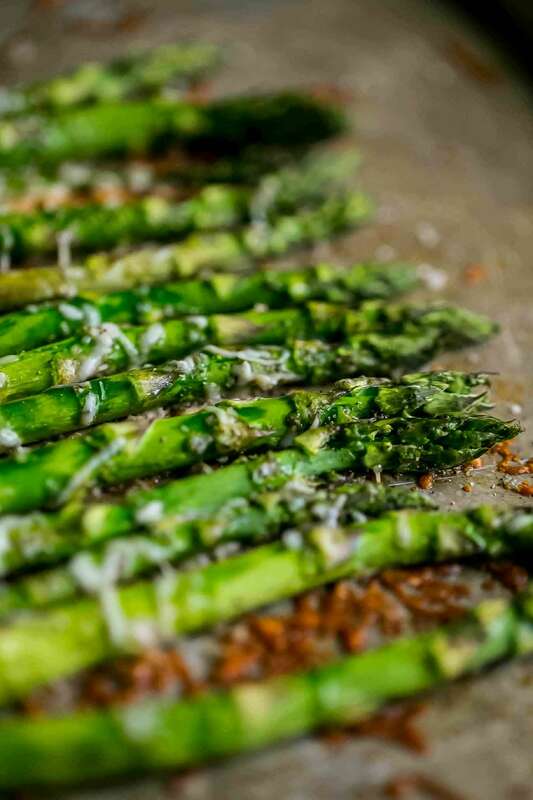 If your asparagus spears are super fat, mix them with the olive oil and lemon juice and bake for about 8-10 minutes to soften a bit before adding the parmesan and garlic and mixing with the spears – this helps prevent the parmesan from burning while the super thick asparagus cooks. While totally optional, I like to stir this dish around the pan about halfway through cooking to give a chance for all sides of the asparagus to crisp a bit and to prevent some spots from being overcooked. This Oven Roasted Asparagus recipe is insanely easy – but there are a few tried and true tools that make this dish super simple and perfect, every single time. 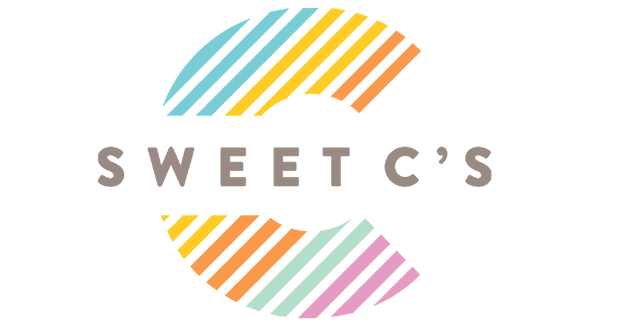 While any baking sheet works for this recipe, I prefer to use one with easy to grip handles and a decent lip off the sides – I like to roast vegetables and meats on a baking sheet with more of a lip so if there is extra oil or liquid from cooking it doesn’t splash all over me when I’m taking it out of the oven. A good pairing knife is essential in any kitchen – and makes prep work super fast. It’s an essential for me! Any olive oil works – but in recipes that are super simple and require only a handful of ingredients, you want to be sure to have a really delicious olive oil since the flavor will be so prominent. Grab one whose flavor you love! You can also use avocado oil, garlic oil, grapeseed oil, or another oil that has a high smoke point and is suitable to baking. I love cooking with fresh garlic – but in this recipe, I prefer using garlic powder. It sticks to the olive oil and parmesan perfectly, helping to create a lovely crunch when it bakes up. Fresh garlic is delicious in this dish – but the garlic powder is a texture choice for me. While not required, lining your baking sheet makes cleanup extra easy. Aluminum foil works well – but can sometimes stick to melted parmesan cheese. I prefer laying down parchment paper sheets (cant get any easier than being able to pull out a pre-cut sheet) for this dish, but again, either work fine – as does going with just the baking sheet itself, too. 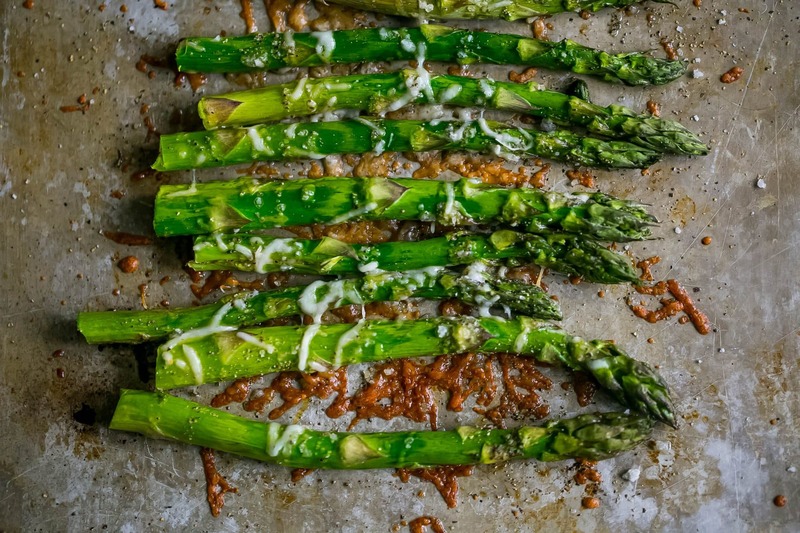 This easy baked garlic asparagus is far from my only one pot asparagus dish – please click the links below to see more of my favorite easy meals with delicious asparagus! And don’t forget to check out my tips to freezing asparagus if you get a giant haul from bountiful baskets or a co-op or farm share! 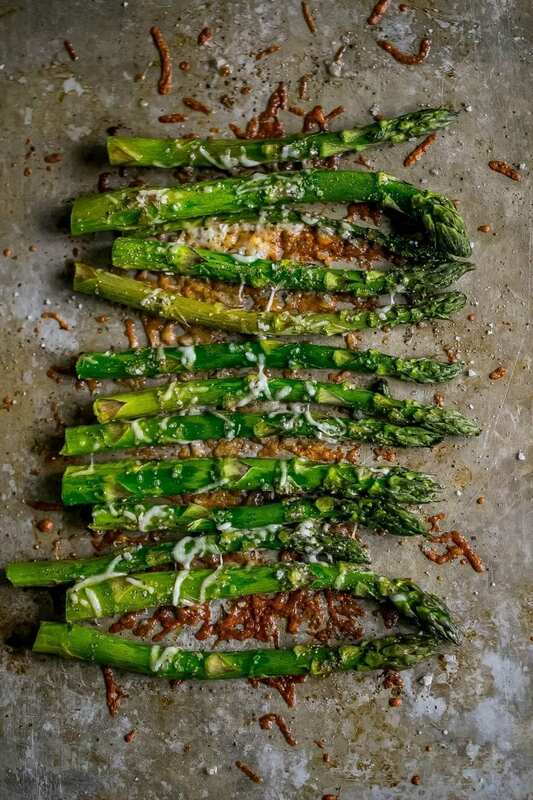 If you love this The Best Oven Roasted Garlic Parmesan Asparagus Recipe as much as I do, please write a five star review in the comment section below (or on Pinterest with the “tried it” button – you can now add pictures into reviews, too! ), and be sure to help me share on facebook! The Best Oven Roasted Garlic Parmesan Asparagus Recipe - delicious garlic and parmesan packed asparagus that is super simple and a perfect side dish that is bursting with flavor, low carb and perfect for keto diets, and always a crowd favorite! Trim asparagus to remove tough, woody ends - discard ends. On a baking sheet (line with aluminum foil or parchment paper for easy cleanup), lay down asparagus. Drizzle asparagus with olive oil and lemon juice, mix around with hands to coat evenly. Pour cheese and garlic powder over asparagus, mix with hands to evenly mix and coat asparagus. Bake at 375 for 15 minutes - checking at around 10 minutes to see if tips have started to brown slightly and asparagus has softened a bit. When asparagus is done, serve immediately.